This is a healthier version of Vermicelli. Ragi is a good source of iron, fiber, protein and calcium. This may be considered as the best food for either breakfast or dinner. 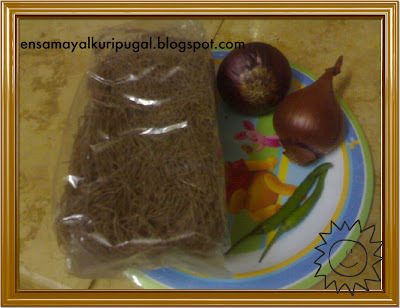 As we do Karam and Sweet in Idiyappam , we can prepare both versions in this vermicelli. 1 bunch of Curry leaves. Soak the Vermicelli in a vessel with enough water for 3-5 min. Drain the water from it completely and keep it aside. Now apply little oil on the Idly mould, spread this vermicelli on the mould and steam it for 5 - 10 mins. When you feel that the vermicelli has turned soft, remove from the mould. Heat oil in a pan. Add mustard and urad dhal, when they stop spluttering add the curry leaves.Add the onions and chillies. Saute them well. Now add the salt needed for the upma. Gradually add the vermicelli to this and mix them well. (Keep in low flame when you start mixing the vermicelli). Mix sugar and grated coconut to the cooked vermicelli, with a spoon of ghee. My all time fav, healthy dish!! Wow!!! 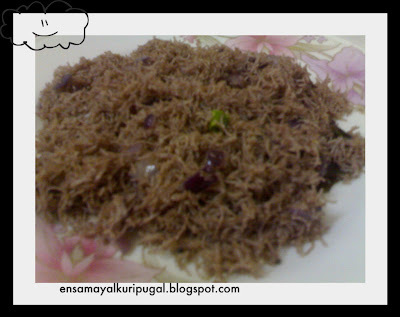 I never knew Ragi vermicilli exists :(:(. Next time when I am in Chennai, I shd stock it. Very healthy dish. Thanx for sharing such a wonderful recipe. You got some nice recipes here..I will definitely stop by again to go through all the posts. Wish I could get hold of Ragi vermicilli here..its too tempting!Such a healthy option! Today I made ravai upma .Ragi is healthy and my favourite. I used to make these when I lived in south, here we do not get these vermicelli. 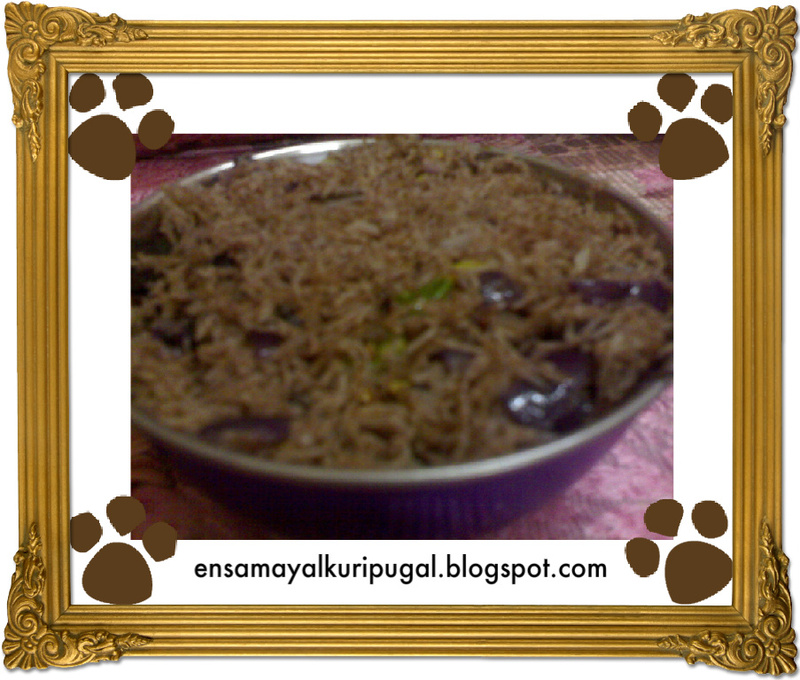 Hi Aruna..thank u so much for visiting my blog and ur sweet comments.Very healthy and delicious upma. thank u for visiting my blog and for comments dear...ragi upma is very healthy one...im following u.
I make them too, very healthy alternative. A very healthy option,i make it too with a lot of veggies! healthy recipe and new to me. Thanks for dropping by, Aruna. You have a nice space here. I was caught up with other things. I have not yet tried this,always a healthier version is preferable! love upma with vermicelli..ragi makes it healthy. its been some time i hav been to my blog..& i saw u offered me an award . where isss itt?